— it&apos;s also the location of choice for many meetings big and small. 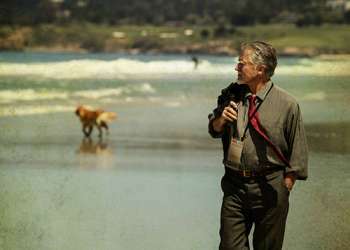 Throughout the year, event planners pick Monterey County as the setting for their meetings thanks to its diverse array of resorts, conference centers, and attractions, not to mention the pleasant weather. Here are some venues to consider for your next meeting, regardless of your group&apos;s size. 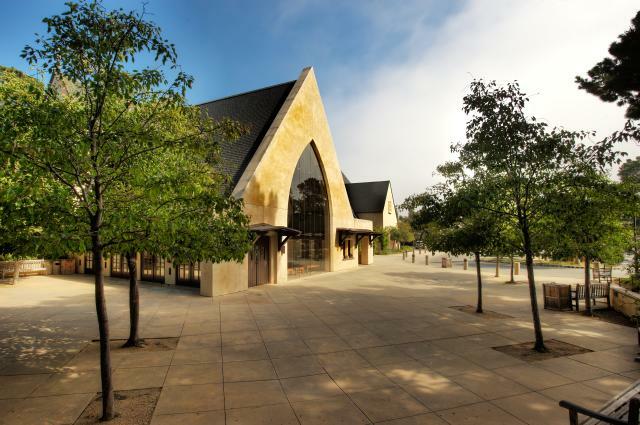 Monterey Conference Center: A recent $60 million renovation has established Monterey Conference Center as the premier meeting space for large groups looking to be inspired. Its sprawling collection of ballrooms and break-out spaces stretch 41,000 square feet and can accommodate up to 1,700 attendees. 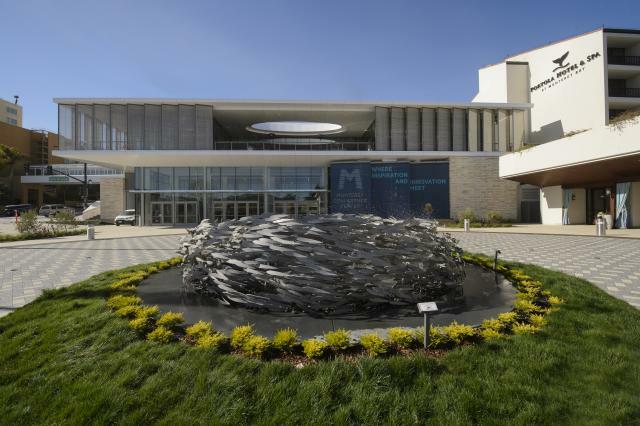 The Monterey Conference Center is also connected to the Monterey Marriott and the Portola Hotel & Spa via the Monterey Conference Connection, which increases the total meeting and exhibition capacity to 61,000 square feet. Plus, it&apos;s right across from Fisherman&apos;s Wharf, a key backdrop of Big Little Lies. Hyatt Regency Monterey: 40,000 square feet of flexible meeting space — not to mention a gorgeous 12,000-square-foot Grand Ballroom — means the Hyatt Regency Monterey can easily host your next big meeting. And its proximity to the Monterey Regional Airport, Monterey Bay Aquarium, and Pebble Beach make it especially convenient. Golden State Theatre: Right in downtown Monterey, the Golden State Theatre is a historic space that has served as a venue for concerts, comedy shows, and theatrical events since 1926. It seats 975 guests and still stands out as a great place to meet. The venue is also home to Selfieville, Monterey’s newest interactive exhibit perfect for team bonding! Monterey County Fair & Event Center: Major events like the Annual Monterey County Fair, Jazz Festival, and California Roots Music & Arts Festival call the Monterey County Fair & Event Center home. And it&apos;s no wonder why: The dynamic 22-acre property is only minutes from hotels, shops, restaurants, and tourist attractions — plus it offers 30,000 square feet of indoor meeting and event space in addition to its two outdoor stages, barn, and carnival grounds. WeatherTech Raceway Laguna Seca: You may know this raceway as the venue for various world-class racing events. But it also boasts over 5,000 square feet of usable space, with table seating for up to 300 and theater seats for up to 700. This makes it a comfortable and unique spot for anything from weddings to birthdays to business meetings. Sunset Center: This beautiful performing arts space — fit with a 718-seat theater and breathtaking gothic architecture — also serves as a popular venue for meetings and lectures, with four private rooms and two elegant lobbies. It doesn&apos;t hurt that it occupies a primo location in charming Carmel by the Sea, just half a mile from Carmel Beach. California Market at Pacific&apos;s Edge: Does the view seem familiar? It&apos;s basically the view from Celeste&apos;s spectacular seaside terrace at her home in Carmel Highlands. Beyond the scenery, delicious food and a relaxing ambiance make this a lovely place to host a more casual, intimate outing with clients or teammates in Carmel. Sanctuary Beach Resort: Looking for somewhere like Madeline&apos;s beachfront home, just steps from the sand and surf? This resort in Marina has got what you need, with a spa, heated swimming pool, and guest cottages by the sea. It&apos;s more than just a scenic getaway though — It also has various event spaces that make it perfect for conferences and retreats. Beachfront conference rooms are a great spot for lectures, cocktail parties, or casual team-building exercises. Folktale Winery: Why not incorporate some delicious wine tastings into your next meeting in the Carmel Valley? 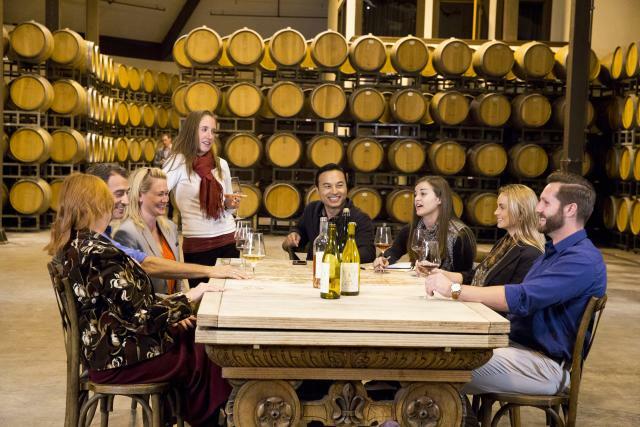 The Folktale Winery is the perfect place to do so, offering 16 acres of vineyards, a beautiful French Chateau, and its picturesque Barrel Room, which sometimes hosts concerts and is available for private events. Monterey Bay Aquarium: With more than 550 different species of marine life on display and over 2 million visitors each year, Monterey Bay Aquarium is one of the can&apos;t-miss landmarks in the region. Rumor has it that the aquarium is even a major star in season two of the hit show. 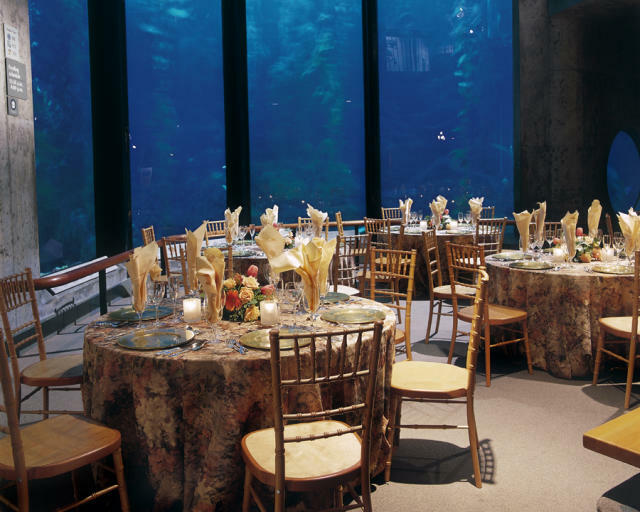 It also happens to be a unique and educational setting for your next meeting or offsite dinner — even if you want to rent out the whole aquarium. The Perry House: Built in 1860, the Perry House has been through a lot in its many years — from serving as a restaurant to a tea room and even an art gallery. With its sweeping view of Monterey Bay, it&apos;s the perfect venue for hosting a Victorian-inspired meeting or barbecue, and it can accommodate up to 200 people. Sail Monterey: Book a private charter and take in some unforgettable views as you sail around Monterey Bay. 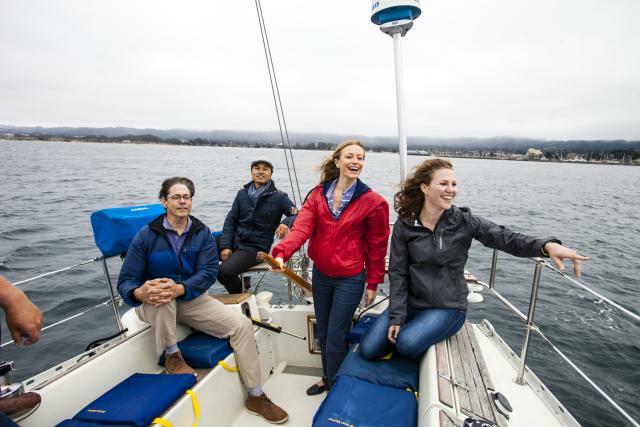 For smaller teams looking for an exclusive experience, try Sail Monterey. Corral de Tierra Country Club: Looking to reward employees or engage clients on the golf course? Look no further than this magnificent and relaxing country club. It even offers special rates for event hosts. Whether you&apos;re hosting a big meeting or a little meeting, Monterey County has options for you. So the next time you&apos;re bringing a big or small group to Monterey County, be sure to keep each of the merits of the spaces above in mind.